Paris assaults the senses, demanding to be seen, heard, touched, tasted and smelled. 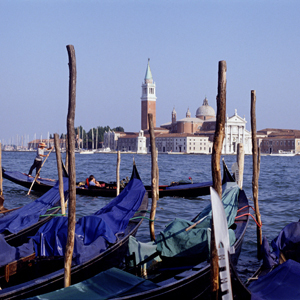 Gaze at impressive monuments and savor its gourmet pastiche of cheese, chocolate, wine and seafood. Paris is a city of vast perspectives and intimate streets, of formal gardens and of quiet squares. Paris is relatively small as capitals go, with many of its major sights and museums within walking distance of each other. Stroll down the Champs-Elysees for the chic grand boulevard experience and Rue Cler for a more intimate snapshot of Parisian living. Eiffel Tower, Louvre Museum, Arc de Triomphe, Notre Dame Cathedral, Jardin des Tuileries, Latin Quater, Avenue des Champs Elysees and so much more! Basilica of San Marco, St. Mark`s Square, The Doge`s Palace, Accademia gallery, Peggy Guggenheim Collection , The Rialto Bridge, Murano, Burano and Torcello Islands and so much more! Florence, the capital of Tuscany, is one of Italy`s most atmospheric and pleasant, retaining a strong resemblance to the small late-medieval center that contributed so much to the cultural and political development of Europe. Art treasures Michelangelo`s David Botticelli`s Birth of Venus, and Raphael's La Velata draw millions of visitors every year. Throw into the mix fabulous architecture (the Duomo with Brunelleschi's dome, Giotto's campanile, Santa Croce), fine restaurants and earthy trattorie, plus leading designer boutiques and bustling outdoor markets, and the city of the Renaissance becomes quite simply one of the world`s must-see sights. 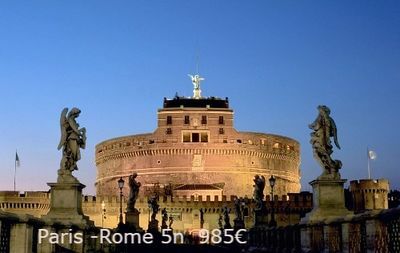 Rome is Italy`s treasure, packed with masterpieces from more than two millennia of artistic achievement. Modern Rome has one foot in the past, one in the present. Find a cafe at summer twilight and watch the shades of pink turn to gold and copper before night finally falls. That's when another Rome comes alive; restaurants and cafes grow more animated and after dinner you can have a gelato (or an espresso in winter) or stroll by the fountains or through Piazza Navona, and the night is yours. 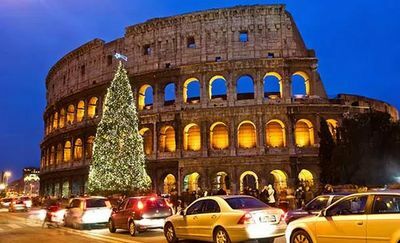 Roman Colosseum, Roman Forum, Vatican, Pantheon, Capitoline Museums, Spanish Steps, Trevi Fountain, Ancient Appian Way, Borghese Gallery and so much more!